The devastation of Central Italy's second round of earthquakes is being matched by vows to reconstruct. Even though seismologists fear that more may be on the way, the government is vowing to rebuild. ROME -- The devastation of Central Italy's second round of earthquakes is being matched by vows to reconstruct. Even though seismologists fear that more may be on the way, Premier Matteo Renzi has promised to rebuild. 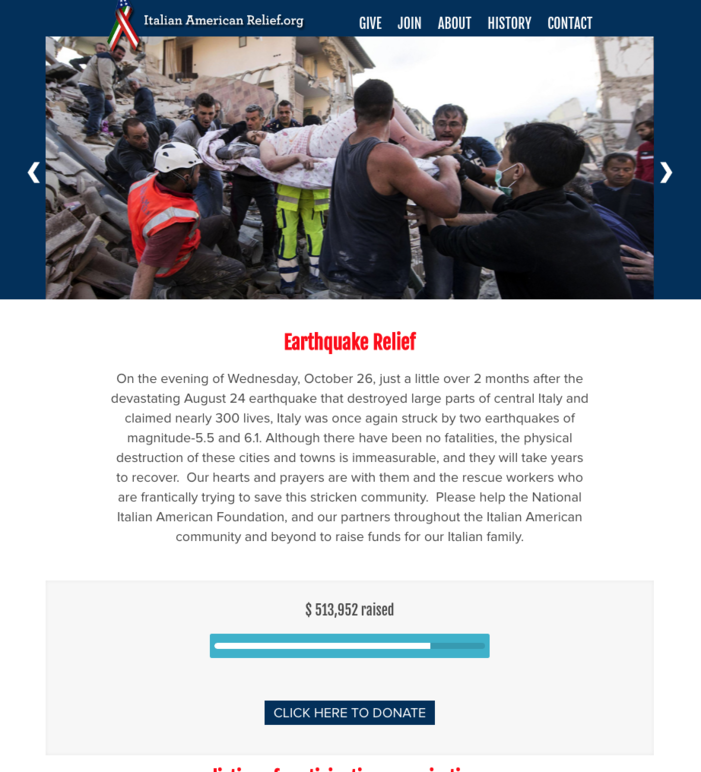 Fabio Guttuso, who is in charge of the crisis unit for the Italian Culture Ministry, is also on record saying that, "We will rebuild everything." No one is underestimating the damage or the difficulties. As of today some 35,000 people, young and old, have been left homeless and in shock. The death-dealing quake of Aug. 24 damaged some 3,000 monuments, churches and building. Today another 2,000, it is estimated, have either been destroyed or are so gravely damage that they will require serious reconstruction. For buildings that have crumbled, this means marking each stone so that it can be put correctly back in place, transporting the stones to a safe area, storing and then restoring them before even beginning to rebuild. None of this is exactly inexpensive, but it is nevertheless planned, with help, it is hoped, from the European Union as well as from private donors. Nevertheless, said Guttuso, "We can be sure that we will rebuild everything. We have no lack of ability, of technical skills and, above all, of will power." One of the worse hit towns was Castelluccio, which appears from Italian helicopters to have been entirely destroyed as if in a war. Just how many single buildings and monuments were ravished by the quake at 7:40 am local time on Oct. 30, which touched 6.6 on the Richter scale, is still impossible to know at present because no one can even walk near enough to examine them. 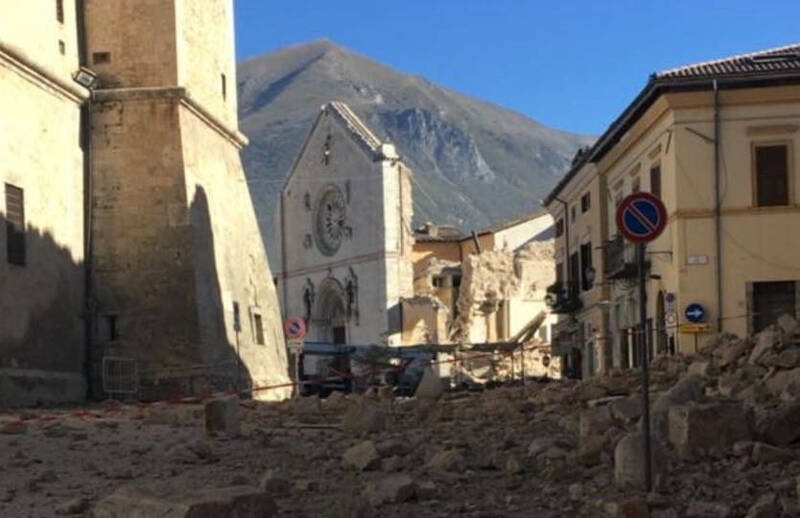 Besides the towns like Castelluccio, the quake, moving outward in a circle from Norcia in Umbria, damaged outlying areas and shook even Rome, 60 miles from the epicenter in Norcia. Seismologists consider the Eternal City especially vulnerable because Rome rests mostly not upon rock, but upon a softer alluvial terrain. Subways, a few roads, the Ponte Mazzini bridge and numerous Roman schools were closed Monday as technicians inspected them for possible damage. In one Roman quarter an elevator -- fortunately with no one inside -- tumbled to the bottom floor. 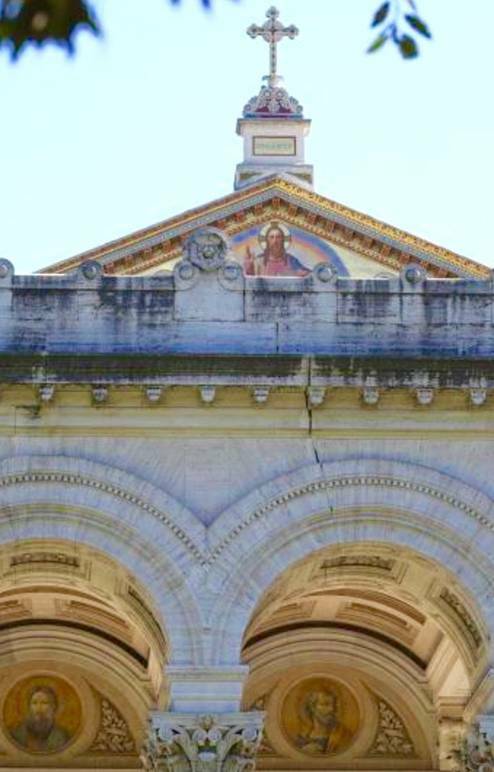 The dome of the famous Baroque church of Sant Ivo alla Sapienza, built in the 1640s by Francesco Borromini, suffered lesions Monday, as did the Basilica of San Paolo Fuori le Mure (St. Paul's Outside the Walls), briefly closed because the quake shocks expanded radically a pre-existing crack in the facade. Fortunately inspections of the newly restored Colisseum and the Roman Forums show no damage. What makes restoration all the more urgent is the fact that the damaged towns in Umbria and the Marches are fundamental to the culture of the entire West, historians andanthropologists here are reminding us. Around the year 1000 these towns and mountain sacred refuges in Umbria and the Marches were the places which fostered medieval Christianity. And even as Europe is torn apart by the likes of Brexit, many others desire to reconnect. It is worth noting that quake response time has been significantly better than in the past. In the long and tragic earthquake history of the 20th century, the response time to similar disasters was slow. This time the present government has responded to the escalating series of disasters as rapidly and as efficaciously as can be expected under terrible circumstances. In the previous devastating earthquake near Naples in 1980 it took weeks before even the final death toll was announced. Then Mafia-type infiltration of reconstruction works meant wasted resources even as thousands of people remained stranded in "temporary" accomodation, which turned out to be long-term housing which for some lasted for the rest of their lives. 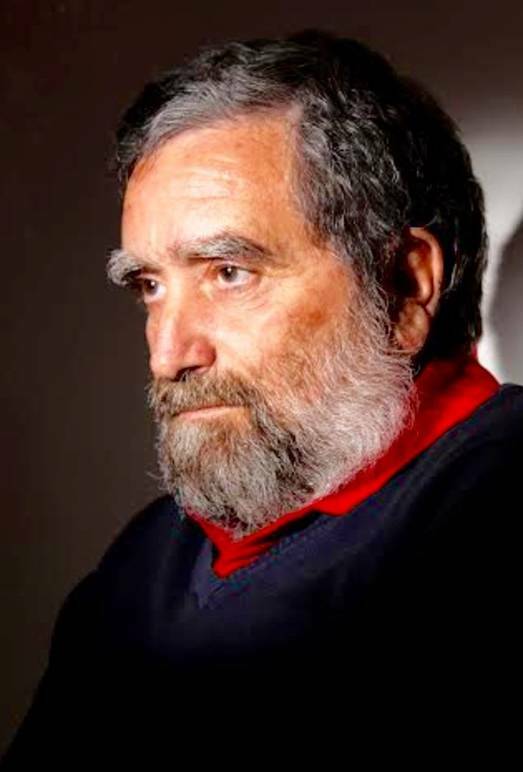 "My personal hope," said Domenico Lanciano in an e-interview with i-italy today, "is that Italy, but also and above all Europe, will take advantage of this natural calamity to give these ancient small towns full and widespread security -- including anti-seismic and hydro-geological. I hope that this can help to show the importance of these 'borghi', and to fight against their depopulation. The hold the true, original soul of the old world continent." 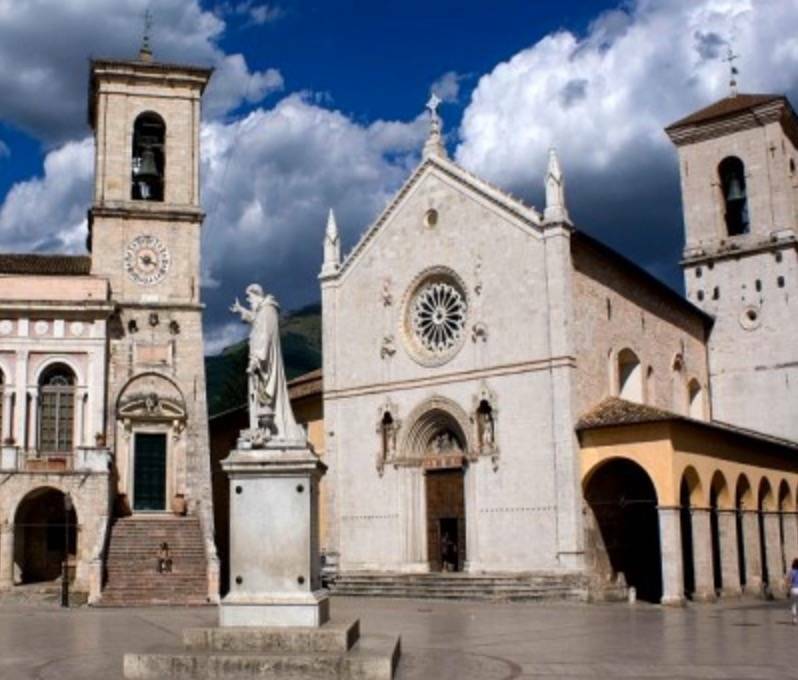 Lanciano, who is from Badolato, heads an association to protect and promote the ancient borghi, especially those in Southern Italy, from extinction.